Please note: this product is now obsolete. See the Drager Pac 6500 as an alternative product. 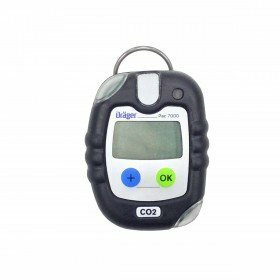 The Drager Pac 7000 is a small, portable gas detector which can be used in industrial settings and can monitor harmful concentrations of sulphur dioxide. The Pac 7000 is highly reliable and provides fast and accurate results of sulphur dioxide gas (SO2). 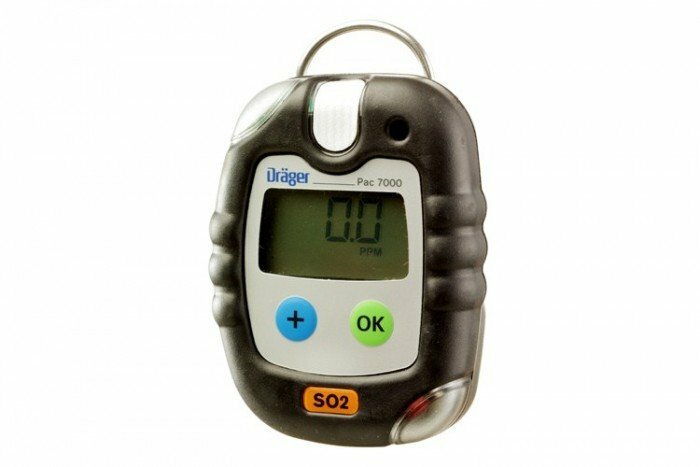 This personal gas monitor from Draeger is designed for long-term operation and can make bump testing easier by automating the process (when used in conjunction with the Drager Bump Test Station). Bump tests can be configured to match specific safety regulations and the Pac 7000 also has an automatic shut-off function if, after a set period of time, function tests have not been carried out. Dimensions (W x H x D) 84 x 64 x 25 mm; 3.3 x 2.5 x 1.0 in. Weight 120 g; 3.8 oz. Humidity: 10 – 90 % r. h.